Osaka Ohsho is a Japanese franchise which specializes in gyoza. But recently, the restaurant started offering noodles that are not only good for the palate but also for the eyes. They are dubbed as “flying noodles”—Osaka Ohsho’s take on the Japanese staple food. 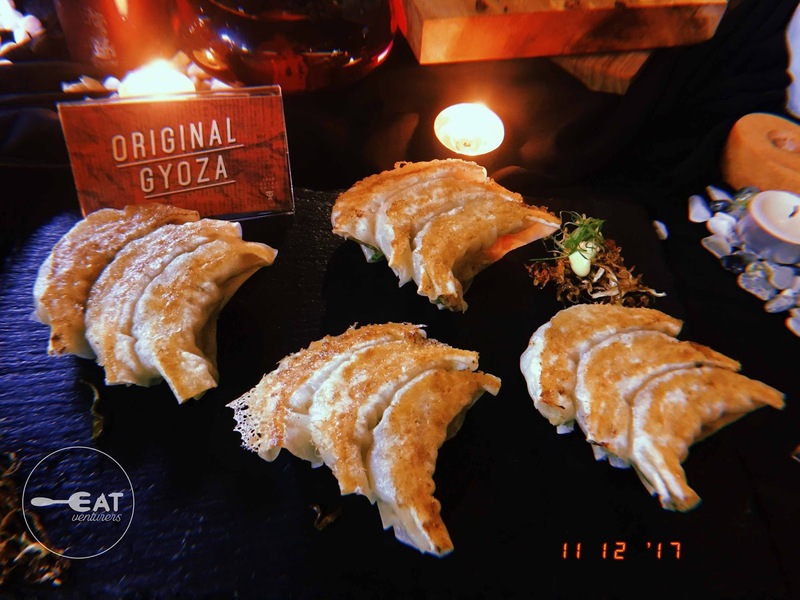 Two of the noodle variants are cold soba (noodles made from buckwheat flour) while the other one is somen (thin noodles made from wheat flour). 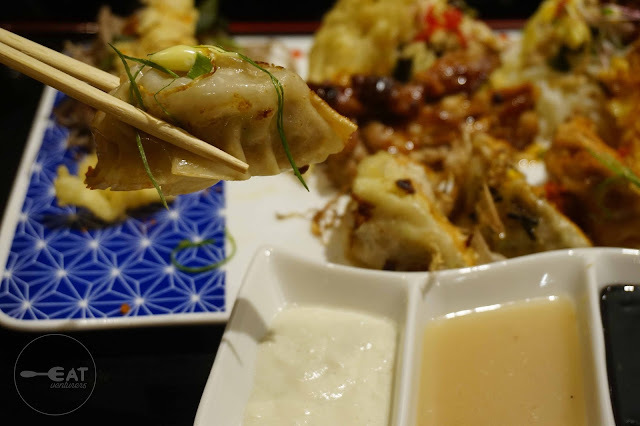 All dishes come with corresponding dipping sauces. 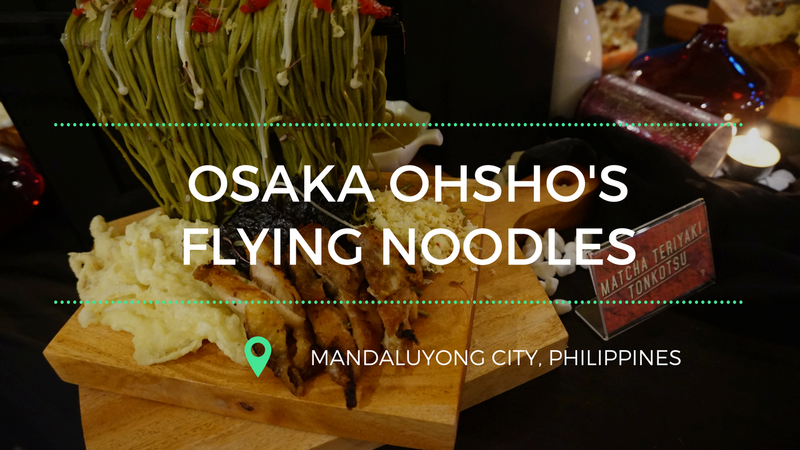 The Eatventurers were able to try Osaka Ohsho’s flying noodles during its launch in its SM Mega Fashion Hall branch. 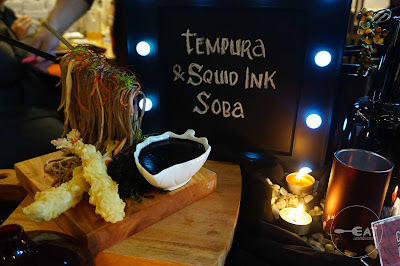 We tried all of its variety, Matcha Teriyaki Tonkotsu, Bacon and Cheese, and Tempura and Squid Ink Soba. Matcha Teriyaki Tonkotsu(P370) consists of the out of the ordinary green cha soba, chicken teriyaki and enoki tempura. Do not forget to douse the cold noodles, which lack the distinctive matcha flavor, with a generous amount of tonkotsu sauce to compensate for the underwhelming noodles. 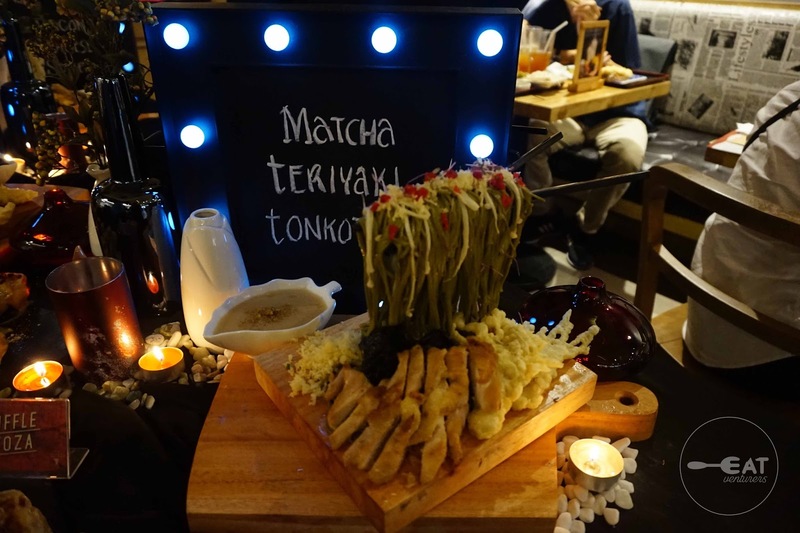 Can’t decide if you want Italian treat or Japanese noodles? 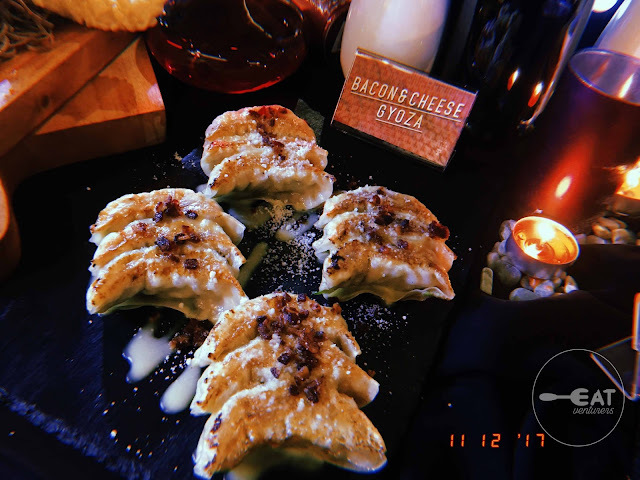 Worry no more because Bacon and Cheese (P370) is the answer to your dilemma. This is like carbonara—only it’s Japanese as it uses somen instead of pasta. 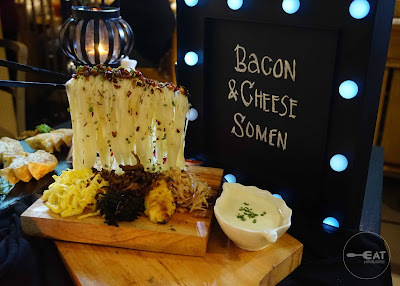 Bacon, salmon cheese aburi and fried egg strips blend harmoniously with the cold thin noodles drenched in thick cream cheese sauce. Seafood lovers may opt to use their chopsticks for the Tempura and Squid Ink Soba (P370). 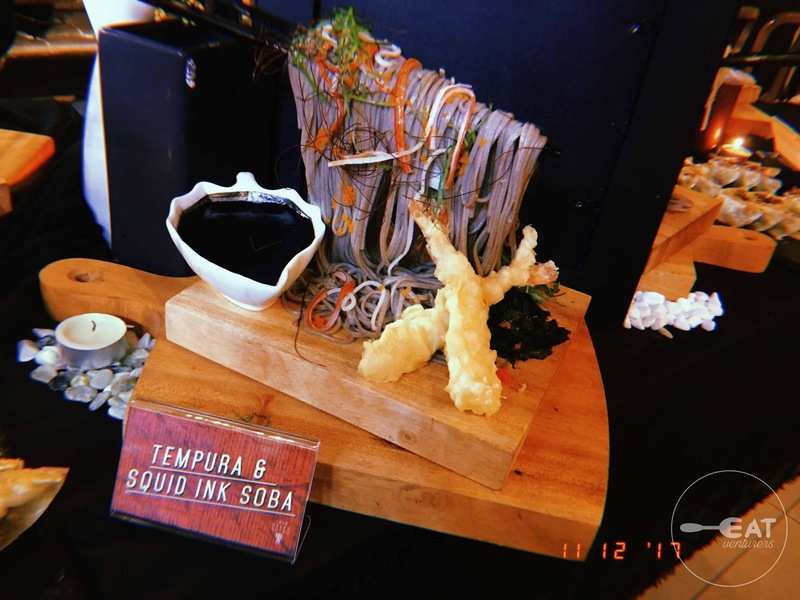 The hearty serving of cold soba paired with the salty and piquant squid ink sauce is quite a catch—except for people who have delicate palate. 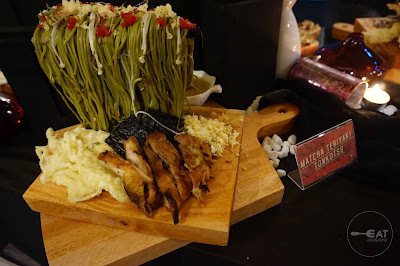 It is topped with tempura and kani strips. 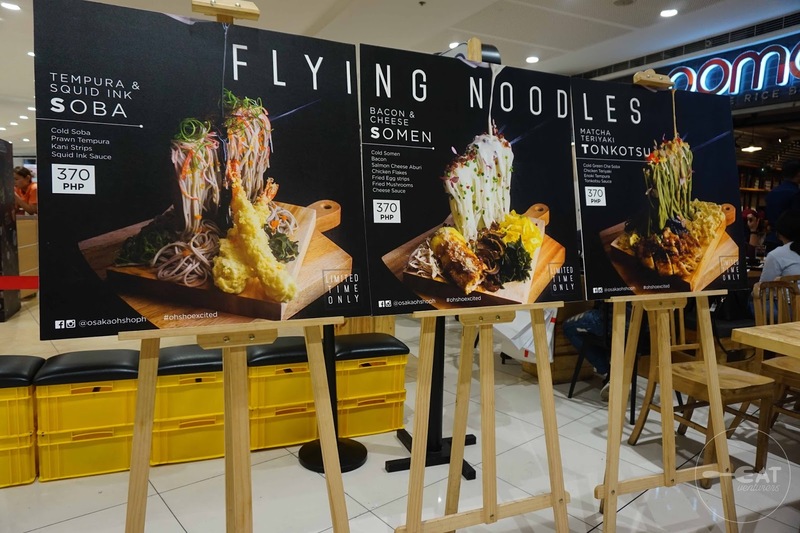 Unfortunately, the “flying noodles” are only available until January 15. 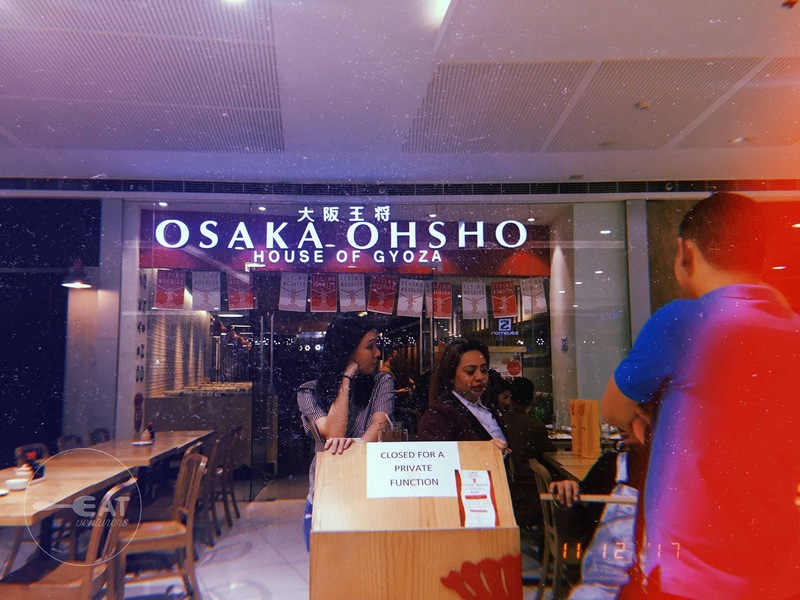 You may visit their branches at SM Megamall Fashion Hall or at The Block in SM North Edsa and indulge yourself in a unique noodle experience. We suggest you do the same as the gyoza really complements the new offering of Osaka Ohsho. If you’re looking for something usual, treat yourself with the Original or the Bacon and Cheese. The latter is a counterpart of flying noodles bacon and cheese variety. 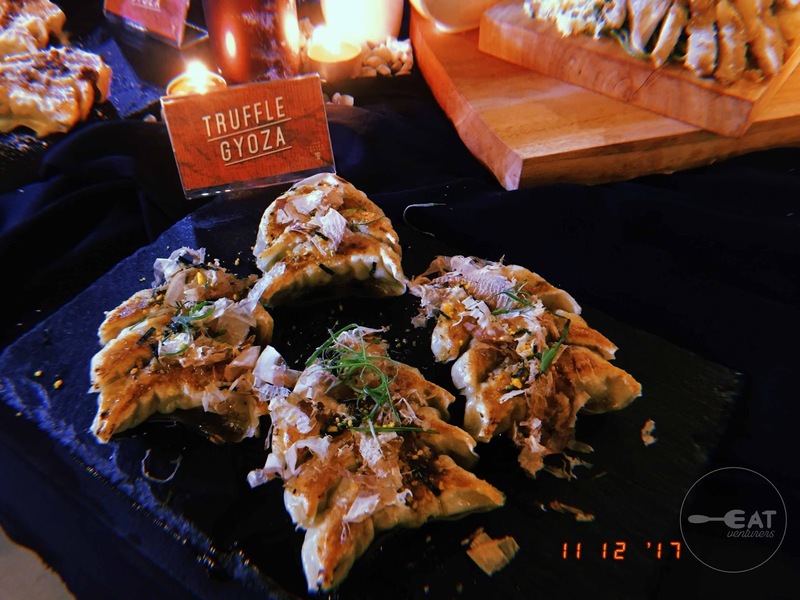 The Truffle variant, meanwhile, leaves an unforgettable impression in your mouth, making you crave for more. 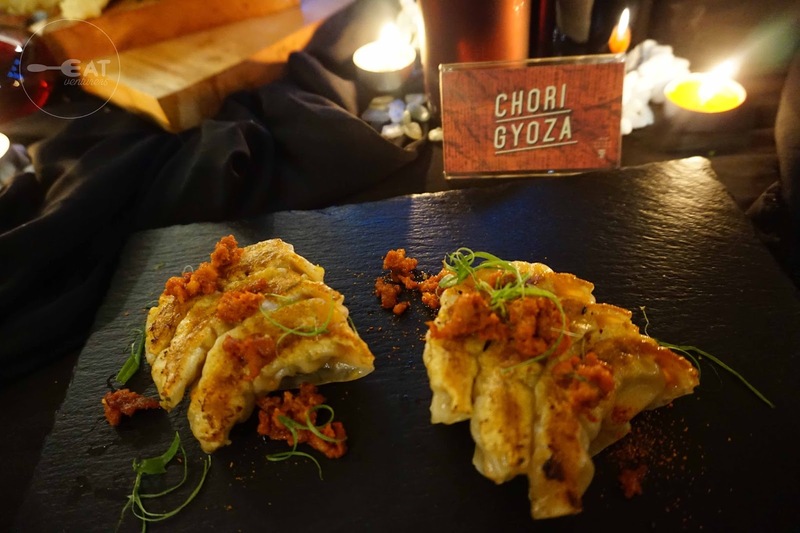 But if you’re craving for something that is close to home, try the Chori Gyoza, which tastes a lot like the Filipino breakfast staple, longganisa. These meals are best partnered with a tall glass of house blend iced tea. The bottomless house blend iced tea is worth P115. 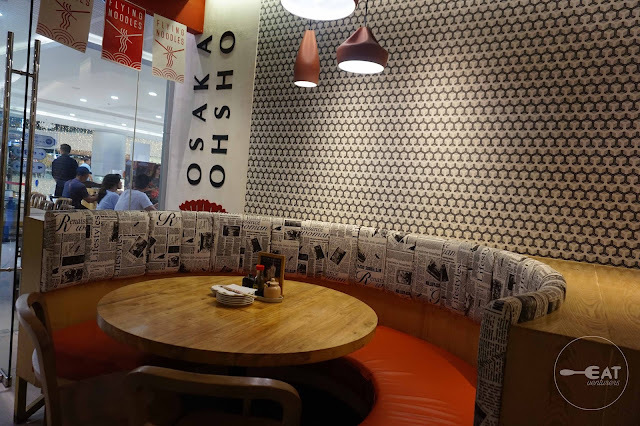 Despite several misses, Osaka Ohsho is still one of those restaurants that will make their guests plan their next visit as they step out of the door. 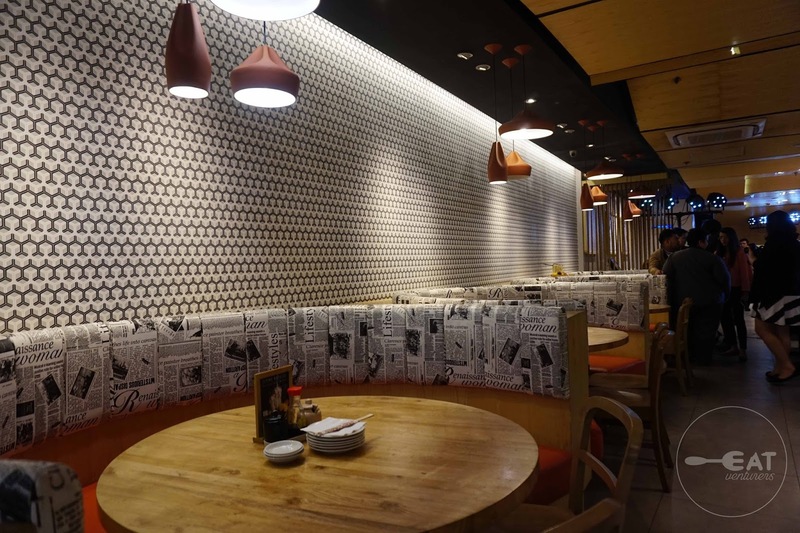 Operating hours: 10 a.m. to 10 p.m.
After a long time I read any article till end otherwise I often leave articles incomplete,and I really enjoyed this article. You have seriously stunning and you should promote it as well. Good post by the way.